The quality of your leadership is defined more by what happens in your absence than in your presence. 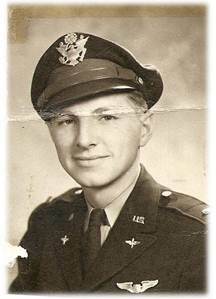 Although in Be the Beans Henry Schmidt is a fictitious character, the real-life hero who served as our inspiration was World War II P-51 pilot, Raymond “Ted” Conlin. 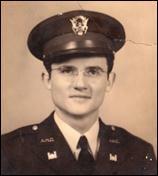 Mr. Conlin passed away on March 12, 2012 at the age of 91. His passing occurred approximately one month after Be the Beans was started. Unfortunately I never had the opportunity to meet him. I found Mr. Conlin and learned about his life through various searches on the Internet, which started in February 2012 with a Google search of “P-51 pilots” that directed me to the website of Paul and Sue Liles. For those of us who had the privilege of attending Texas A&M University, there is no place like it on earth. A colleague of mine, Dr. Ray Ayers, (who is not an Aggie, I might add) once stated, “Being an Aggie is something that is hard to describe from the inside and hard to understand from the outside.” I couldn’t have said it better myself. Texas A&M was originally started as an all-male military college in 1876 based on the Morrill Act of 1862 enacted under the presidency of Abraham Lincoln. In many regards, the essence of Be the Beans is giving back to the world in order to make it a better place. If you have read Be the Beans, you know that Jake Carmichael’s life was changed when he began to invest in the lives of his staff, family, and ultimately in the life of single-mother, Carrie Schneider, and her children. In my own life giving has played a tremendous role in helping shape my view of the world and how one individual can truly make a significant difference in the lives of others. I whole-heartedly believe this. One single spark can start a forest fire. The same can be said of men and women who commit themselves to making the world a better place. For most of us, it’s possible to identify individuals who have significantly impacted our lives. These are people who have the ability to rise above their circumstances and not “let the turkeys get them down”, as my father used to say. Along the same lines, we also know people who always seem to see the worst in every situation, the “half-empty” crowd. My wife and I were in Disney World several years ago and saw a T-shirt that says it all for the “half-empty” people in our lives, I’m Grumpy Because You’re Dopey. Learn more about Be the Beans and the "story within the story" about how as leaders we can influence our surroundings and be like coffee beans that change boiling water into coffee. 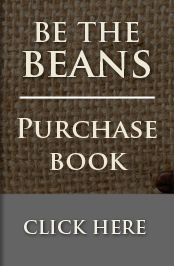 During an interview with the author, Chris Alexander shares his thoughts on why Be the Beans is an important story for all of us, especially during those times when we are going through challenging times.